At a time when education has become the biggest differentiating factor, Sriram Charitable Trust offers an edge to deprived and rural students through its activities. To identify and help students in dire need, the Trust gives scholarships to poor students. The trust reaches out to deserving students in the underprivileged sections of the society across Pondicherry. Educational aid has been provided to Mrs. Kollipara Ganga Bhavani, d/o. Kollipara Surya Prakasa Rao Machilipatnam, Andhra Pradesh on November 15, 2012. Also sponsorship provided to Mrs. Kollipara Ganga Bhavani, for 1st year B. E. (Electronics) course in Manuku Institute of Technology in New Zealand. In order to make IT education accessible to the poor, computer systems have been donated to schools in rural areas in Pondicherry and Tamil Nadu. The Trust sponsored one computer with UPS and DVD drive to schools to help the administration to store their records and also to give computer knowledge to students. The Trust makes donations towards construction of buildings in schools and also provides assistance towards old building renovation. It also contributes towards school furniture, equipments, etc. Educational aid provided on May 21, 2012 to Carunnai School for Mentally Challenged, situated at Kamban Nagar, Reddiyar Palayam, Puducherry, by paying the 4th quarter term fee for 14 children. Educational aid was given to seven orphan students for their higher education, through Uthavikangal Samuga Nala Kalvi Iyyakkam, Pondicherry. Conducted Training of Trainers (TOT) on moral values, classroom management, and stress management for the teachers of Hindu Higher Secondary School, Madurantakam, Tamil Nadu. Managing Trustee donated school bags for the students of Ambedkar Govt. High School at Vinoba Nagar, Pondicherry. Managing Trustee handed over an education-aid cheque, paying annual fees for 41 students at Sri Patcheyappan Hearing Impaired School, Pondicherry. Managing Trustee handed over an education-aid cheque, paying annual fees for 20 students at Carunai Mentally Challenged School, Reddiarplayam, Pondicherry. Managing Trustee handed over an education-aid cheque to Aravindh, a student doing Diploma in Visual Communication. Educational aid Rs.10,000/- was given to Punniyakotti, semi orphaned student of 1st year Bcom, studying in Sri Malolan College of Arts and Science College-Chennai. Educational aid of Rs. 15,000 was given to Neelavathy, a hearing-impaired student of 5th-year B.Tech dual course, studying in Kalasalingal University. Integra volunteers conducted the moral values and civics sense sessions for the Hindu Higher Secondary School, Madurantakam, Tamil Nadu. Sponsored smart class teaching faculty for the rural students of Panchayat Union School at Polambakkam, Tamil Nadu. Trust representative handed over an educational-aid cheque for higher education of a rural poor boy, Manikanndan, studying in BCom first year. Eike Wannick, Team Manager Purchasing, and Kevin Goethling, Senior Manager Content Management (Books & Journals), handed over an educational-aid cheque to Shanmugam studying in B.Ed second year. Managing Trustee donated a computer to a poor children’s association, for updating computer knowledge among the poor. Organized a general health camp with the help of a team of JIPMER doctors at Hindu Higher Secondary School at Maduranthakam, benefiting 700 rural students and 200 community people. Organized “Train the Trainers” programme for Hindu Higher Secondary School teachers for better classroom management, stress management, and behavioral management for adolescents. Mrs. Anu Sriram, managing trustee, sponsored education aid to an orphan girl’s annual fees for her BTech second-year session. Sponsored second term fees for 19 students from Carunai School for Mentally Challenged, Puducherry. Sponsored second term fees for 40 students from Sri Patcheappan School for Hearing Impaired, Puducherry. Donated 4 sets of computer for Pulichapallam Govt. Higher Secondary School, Tamil Nadu. Donated one computer set to the Panchayat Union Govt. 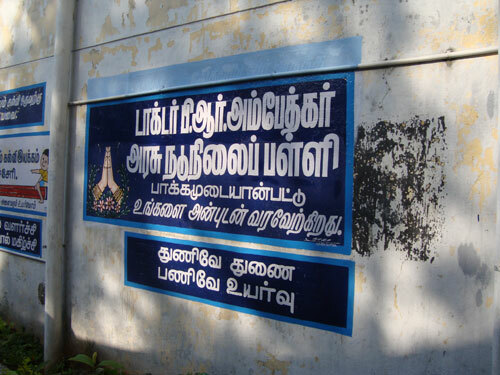 Middle School, Pakkam, Tamil Nadu. Sponsored second term fees for higher studies for 16 students from Udhavi Karangal Samuga Nala Thodar Kalvi Iyakkam, Puducherry. Donated 4 sets of computer to the Illangovadigalar Govt. Higher Secondary School, Puducherry. 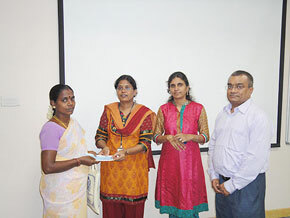 The Trustee has handed over an educational aid cheque to Sournabagavathi for her B.Com. first-year studies. The parents of Trustee had handed over an educational aid cheque to Barath for his B.Sc. second-year studies. The parents of Trustee had handed over an educational aid cheque to a poor driver for his children’s higher studies. The Trustee donated a cheque to meet the marriage expenses of Venda, a poor village girl. The parents of Trust handed over an education aid cheque to a girl child’s mother whose husband is a kidney transplant patient. Motivational sessions were organized for 10th and 12th students of HINDU Higher Secondary School at Mathuranthagam, Puducherry, on how to write board exams and how to score more marks in 10th and 12th standard board exams. Mr. Sankar Ganguli, on behalf of Trust, handed over 5 monitors, 5 keyboards, and 5 mousses to Bridges Learning Vidyalaya School at Puducherry. Trust representative handed over a cheque for toilet renovation for the Govt. Primary School, Indira Nagar, Puducherry. Trust volunteers from Community college students were drawn colorful teaching educational materials in LKG& UKG student’s class room walls at Arul Ayee Selvi Govt. High School at Puducherry. Mr. Sriram Subramanya, Managing Trustee, sponsored education aid to Priyanka’s MBBS third-year studies. Parents of trustee, on behalf of Sriram Charitable Trust, provided educational aid to Sankar’s (a driver by profession) children. Mother of trustee, on behalf of Sriram Charitable Trust, provided educational aid to Abirami’s (a housemaid) children’s college annual fees. Mother of trustee, on behalf of Sriram Charitable Trust, donated educational aid to Jayalakshmi’s (a housekeeping staff) children’s college annual fees. Mother of trustee, on behalf of Sriram Charitable Trust, provided educational aid to Sivagami’s (a cook by profession) children’s school annual fees. Mother of trustee, on behalf of Sriram Charitable Trust, provided educational aid to Mohan’s (a driver by profession) children’s school annual fees. Mother of trustee, on behalf of Sriram Charitable Trust, donated educational aid to Paul Thiraviyum (a worker in a clinic) children’s school annual fees. Mother of trustee, on behalf of Sriram Charitable Trust, provided educational aid to Ezhumalai’s (a security guard by profession) children’s school annual fees. Mother of trustee, on behalf of Sriram Charitable Trust, provided educational aid to Sumathi’s (a hospital assistant) children’s school annual fees. Mother of trustee, on behalf of Sriram Charitable Trust, provided educational aid to support Lily Monisha’s (her father is a security guard by profession) college annual fees. Mother of trustee, on behalf of Sriram Charitable Trust, provided educational aid to Selvi’s (a housemaid) children’s school annual fees. Mother of trustee, on behalf of Sriram Charitable Trust, provided educational aid to Anusuya’s (a hearing-impaired woman) children’s college annual fees. Mother of trustee, on behalf of Sriram Charitable Trust, provided educational aid to Velu’s (a carpenter) children’s college annual fees. Mother of trustee, on behalf of Sriram Charitable Trust, provided educational aid to Sathish’s (a security guard by profession) children’s school annual fees. Mother of trustee, on behalf of Sriram Charitable Trust, has provided educational aid to Antony’s (a coolie by profession) children’s school annual fees. Mother of trustee, on behalf of Sriram Charitable Trust, has provided educational aid to Velvizhi’s (a poor woman from rural background) daughter’s college annual fees. Sriram Charitable Trust sponsored dinner for 85 girls of Uthavikarangal – Home for Street Children, on the occasion of Mr. Win Sutanto’s birthday – Global Director Typesetting Springer Nature, Holland. Sriram Charitable Trust donated Rs. 50,000/- to Shri Patcheappan Hearing Impaired School for construction of a new building on the occasion of Mr. Win Sutanto’s birthday.– Global Director Typesetting Springer Nature, Holland. Ms. Joanne Murphy, on behalf of Integra Software Services, handed over five computers to Mahatma Gandhi Matriculation School at Villupuram as an aid for poor students’ education. Ms. Joanne Murphy, on behalf of Integra Software Services, handed over a cheque to Carunai School for Mentally Challenged, aiding 16 poor students by paying their term II annual fees. Mr. Michael Barton, on behalf of Integra Software Services, handed over a cheque to Sri Patcheappane School for Hearing Impaired, for paying term II annual fees of 40 poor students. Mr. Frieder Kumm, on behalf of Integra Software Services, handed over a cheque to Pondy Can, an NGO at Pondicherry, for organizing Green Schools Program in Pondicherry. Mr. Win Sutanto, on behalf of Integra Software Services, handed over a cheque to three dyslexia students at Bridges Leaning Vidyalaya Higher Secondary School, Pondicherry, for paying term II annual fees. Ms. Jacqueline Lenz-Sachse, has handed over the educational aid cheque, on behalf of Sriram Charitable Trust, to Mrs. Bhuvana, Head Mistress of Bridges Learning Vidyalaya (a school for the dyslexia children). Mr. Benjamin Feuchter, on behalf of Sriram Charitable Trust, has handed over a cheque to Ms. Mathy, Head Mistress of Govt. Middle School at Thattanchavady, for sponsoring Children’s Day celebration. Mr. Shanmugam, HR Manager at Integra, handed over educational-aid cheque to granddaughter of Saroja, working as a house maid. The trustee donated educational-aid cheque to Rajesh, a BBA first-year student. The Trustee donated a computer to Manavalan, a third-year Computer Science Engineering student. The Trust representative handed over an educational-aid cheque to Pouveneshvar, an engineering (EEE) third-year student. The trustees donated an educational-aid cheque to Srimathi, a BSC (Nursing) third-year student. Vasantha Devanathan, on behalf of Trust, provided educational aid to Lourdhu, a BA second-year student. Mr. Sriram Subramanya, Trustee of Sriram Charitable Trust, provided educational scholarship to 15 students at Carunai Residential Special School for Mentally Challenged. Mrs. Toni O’ Brien and Mr. Vince O’ Brien, on behalf of Sriram Charitable Trust, handed over the educational aid cheque to Priyanka, an MBBS 2nd year student. Trustee of Sriram Charitable Trust donated an educational aid cheque to Sadasivam for his children’s education. Mrs. Vasantha Devanadan, on behalf of Sriram Charitable Trust handed over the education aid cheque to Banumathi studying B.Tech third year Pondicherry University. Dr. Ratna Natrarajan – former district governor of Lions Club of Tiruputtu – delivered a motivational session for 12th-standard students at Hindu Higher Secondary School, Mathuranthagam. A motivational book, Sigaram Thottu, was released by Lions Club, for 10th- and 12th-standard students at Hindu Higher Secondary School, Mathuranthagam. Trust representative organized a motivational session for the parents of 12th-standard students at Hindu Higher Secondary School, Mathuranthagam. Mr. Sriram Subramanya, Trustee of Sriram Charitable Trust, provided educational scholarship to 40 students at Shri Patcheappan Hearing Impaired School. Trust sponsored educational materials for poor students from the rural background, studying in 10th standard. Mrs. Vasantha Devanathan, on behalf of Trust, handed over the educational aid cheque to Jayalashmi, a widow, for her blind daughter’s higher education. Trust representative handed over the educational aid cheque to Neelavathy, a hearing-impaired student, studying in BTech 2nd year. Mrs. Toni O’ Brien from USA visited Hindu Higher Secondary School at Mathuranthagam for strengthening the school heritage. Thirty 10th-standard students from Lycee Francas School were given demonstration on corporate activities and Trust activities. Mr. Andy Willams – Operations Director, Palgrave Macmillan – has handed over, on behalf of Sriram Charitable Trust, an education scholarship to Ms. Sumathi, a hospital helper, for her son and daughter’s higher education. Ms. Jo Endell-Cooper – Publishing Services Manager, Palgrave Education – has handed over, on behalf of Sriram Charitable Trust, an educational scholarship to Ms. Megala, a widow, for her daughter’s BCA third-year fees. Mr. Steve Benaim – Publishing Services Manager, Palgrave Macmillan – has handed over, on behalf of Sriram Charitable Trust, a cheque for educational scholarship for three dyslexia students from Bridge Learning School at Puducherry. Ms. Kristy Lilas – Production and Global Projects Manager, Palgrave Macmillan – has handed over, on behalf of Sriram Charitable Trust, an education scholarship for five orphan students’ higher education from Uthavikarangal Samuganala Thodar Kalvi Iyyakkam at Puducherry. Mr. Sriram Subramanya, Trustee of Sriram Charitable Trust, has distributed CII skill-building books to five government primary schools at Pondicherry. The Trustees handed over a cheque for interest-free loan to Mrs. Priyadarshini, a student of MD in Microbiology. Mrs. Anuradha Sriram has handed over an educational-aid cheque to Mrs. Alice Thamos Uthavikarangal, paying for higher education of five orphan students. The Trustees donated a computer monitor for the Trust Representative children’s higher education. Ten government primary schools received CII skill-building books from Mr. Sriram Subramanya, Trustee of Sriram Charitable Trust. Embalam Government Primary School displayed CII skill-building books at school premises, given by Mr. Sriram Subramanya. Kenipattu Government Primary School received CII skill-building books from Mr. Sriram Subramanya. The Hindu Higher Secondary School at Mathuranthagam received CII books from Mr. Sriram Subramanya. The Hindu Primary School at Mathuranthagam received CII books from Mr. Sriram Subramanya. The Muthumalla Middle School at Sirunalloor received CII books from Mr. Sriram Subramanya. Mr. Edward A. Cilurso, Vice President Production and Mr. Kevin Swanson, Production Supervisor from Taylor & Francis handed over a cheque, on behalf of Sriram Charitable Trust, to Shri Patcheappan Hearing Impaired School, paying for annual fees for 41 hearing-impaired students. Ms. Natacha Carter, Production Manager and Ms. Caitlin Rogers, Electronic production Manager from Taylor & Francis, handed over a cheque, on behalf of Sriram Charitable Trust, to Carunai School for 15 mentally challenged students’ educational aid. Mrs. Liz Warman, Director of Global Content Production, has provided educational scholarship to three poor dyslexic children on behalf of Sriram Charitable Trust. Mr. Sriram Subramanya, Trustee of Sriram Charitable Trust, has distributed CII books to government schools for the student’s skill development. Mr. Sriram Subramanya, Trustee of Sriram Charitable Trust – along with Mr. Kumar, Director of Education, Pondicherry – has distributed CII books to government schools. Conducted group discussion among students on effective group study for securing more marks in board exams. Conducted career guidance programme for the 10th and 12th standard students at Hindu Higher Secondary School at Madhuranthagam. Mr. Michael Esposito from Pearson handed over the educational materials to students from the Gypsy community. The managing trustee handed over the educational aid cheque for 15 students of Carunai School for Mentally Challenged. Mr. Michael Esposito from Pearson handed over the educational aid cheque to Srimathi, second-year nursing student, on behalf of Sriram Charitable Trust. Mr. Paul Blackburn from Pearson handed over the educational aid cheque to the inmates of Vuthavikarangal Samuganala Thodar Kalvi Iyakkam on behalf of Sriram Charitable Trust. Trustees gave a cheque for educational scholarship to Sanjana, BCA, second year and R. Kiruthika, CSE, first year. Trustees gave a cheque for cash award to I. Kiruthika, d/o Ilango, for ranking first in school in the 10th standard. Managing Trustee granted educational loan to Mrs.Theresa mother of Stephen’s higher education. Managing Trustee provided educational scholarship to 41 hearing-impaired students from Sri Patcheappan School on August 21, 2014. On behalf of Integra the Managing Trustee handed over a sponsorship cheque to Rotary Mid Town Club for Akshaya Pathira scheme running for the poor student’s studies. Mrs. Vasantha Devanathan Trust representative provided the Educational scholarship to Andal for her daughter’s higher studies for BSc in Computer Science (first year). Conducted orientation on ITI courses for the students at Illangaovadigalar Higher Secondary School at Muthirapalyam, Pondicherry, on June 12, 2014. Educational sponsorship provided to Jayalashmi for her blind daughter Muthulashmi’s higher studies on June 20, 2014. Educational sponsorship provided to Anusuya for her hearing-impaired daughter Neelavathi’s higher education (B.Tech.) on June 3, 2014. Mr. Paul Blackburn and Mr. David Jolliffe handed over the annual fees for 15 MR students from Carunai NGO on behalf of Sriram Charitable Trust. Organized carrier guidance and counseling program for the 10th and 12th standard students at Mathuranthagam Hindu Higher Secondary School on February 15, 2014. Organized currier guidance and counseling program for the 10th standard students from Government school at Vivekanandha Higher Secondary School on February 12 and 13, 2014. The Trust representative provided education loan to Boopath’s son Hari, a second-year student of Dental Care, on February 22, 2014. Education financial support provided to the inmates of Udhavi Karangal Samugala Thodar Kalvi Iyyakkam to enhance their higher education. Educational Aid give for the academic year 2013-2014. Financial support provided to 30 students at Carunnai School for Mentally Challengrd. Every year financial support providing to 30 students for the Carunai NGO who is running school for MR children. Financial support given to Chinmaya Chanting Competition for school students. Educational materials provided to Antony’s son, a student from poor family background. Ms.Sara Bloxham from USA donated computer for higher education of Mr. Arumugam’s son. Educational aid given to MSW Department of Social Work, Pondicherry University on April 3, 2012. Educational aid given to D. Nandhini, d/o Dhamodharan, April 26, 2012. 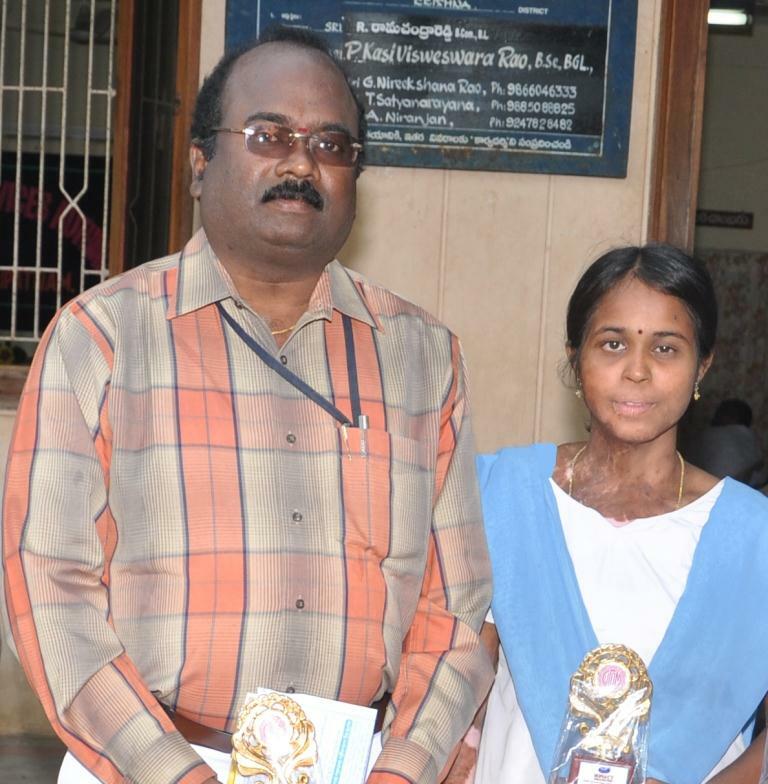 Educational aid given to S. Kiruthika, d/o P. Sivakumar, on April 26, 2012. Education Aid provided to P. Sailesh, s/o Mr. Paul Thiraviyam, on June 11, 2012. Educational aid given to M. Maheswari and M. Bharathkumar, Children of M. Sumathi on June 15, 2012. Educational aid given to L. Vinodhini and L. Pugazhenthi, children of Mr. Lakshminarayanan, on June 21 2012. Educational aid provided to Ms. Y. Sarasu, d/o Mr. Yogaratchagan on July 24, 2012. Educational aid provided to Ms. R. Vaishali, d/o Mr. Raghavan on July 24, 2012. Educational aid provided to Mr. V. Sugadev, s/o Mr. D. Vadivelu on July 24, 2012. Educational aid provided to Mr. D. Manigandan, s/o Mr. Datchinamurthy. Educational aid provided to Mr. A. Kumaresan, s/o Mr. Arumugam. Educational aid provided to Dr. M. Priyadharshini M.B.B.S. Educational aid given to Ms. A. Muthuvinayaguy, d/o Mr. Arumuga Nainar. Educational aid provided to Government Boys Primary School, Muthirapalayam. Educational aid given to D. Manikandan, and D. Keerthana children of-late Mr. Devadoss. Educational aid provided to Carunnai School on October 04, 2012. Educational aid provided to Ms. P. Priyanka, d/o Mr. Prabhakaran on October 24, 2012. Financial support provided to Lashminarayanan for his children’s education. Donated computer to Arunachalam who scored 487 marks in 10th standard. Educational support provided to Deepak studying Diploma in Mechanical Engineering. Educational aid by way of college fees being given to Ms. K. Archana, final year B.E (Electrical and Computer Engineering) student on November 16, 2011. Educational aid given to Mrs. sivaganga for her daughter Y. Sarasu, Keezh Kumaramangalam, Tamil Nadu. Educational aid given to P. Lenin, Kandamangalam, Tamil Nadu, for his first year B.E. Educational aid given to S. Anandavadivelu, Karaikal. Educational aid given to V. Sukdev +1 in Prof. Annusamy Higher Secondary School, Bahour. Education Aid given to A. Muthuvinayagi, 2nd year B.Com. at Rajarajeshwari College of Arts and Science, Pommiyarpalayam. Educational aid given to D. Manikandan, 3rd year Electrical Engineering (EEE) at Pondicherry Engineering College (PEC). Educational aid given to P. Arthi, 3rd year ECE at PEC. Educational aid given to A. Kumaresan, 2nd Year ECE at PKIET, Karaikal. Educational aid given to T. Madhumitha, final year ECE in RGCET. Educational aid sponsored to Vudhavi Karangal Dhodar Kalvi Iyyakkam home boys. Educational aid sponsored to Ms. Neerosha. Computers donated to Sri Patchaiappan School for Hearing Impaired, Reddiarpalayam, Pondicherry. Computers donated to Sri Ramachandira Vidhyalaya School, Ariyur, Pondicherry. Computer donated to Govt. Middle School, Vinobha Nagar, Pondicherry. Computer sponsored to M.Sc. Bio technology students, Mr. Thulasi Babu, Pondicherry. Computer sponsored to Baby Bakyashree, Ariyankuppam, Pondicherry. Computer sponsored to Mr. Vasudevan, 1st year B.Tech. Educational aid given to Mr. Gokulakrishnan, 2nd year M.Sc. in Biotechnology. Educational aid given to Mr. Jayaganthan, doing Diploma in Hardware Networking course. Educational aid given to T. Mathumitha, a 3rd year B.Tech. (Bio-Medical Engineering) student. Educational aid given to Mr. Anadhavadivelu, a 1st year engineering student. Educational aid given to Mr. Mourasolimaran, a 1st year polytechnic student. Educational aid given to Ms. Sharmila 2nd year B.Tech. (IT) student. Educational aid given to siblings Rajashree, Vijayashree, and Vanishree. School infrastructure development program for St. Mathias Higher Secondary School. Carunnai School for Mentally Challenged – correspondent Mr. Ganesh received the sponsorship amount for 16 students. Parent’s Association for Mentally Handicapped and Spastic Persons, Pondicherry. Raksha Bhandan celebration with Prammakumarial Sanagam, Pondicherry. 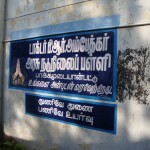 Vudhavi Karangal Thodar Kalvi Iyyakkam (total rehabilitation home for street children) Pudhu Nagar, Noonakuppam, Puducherry.